You could work all day and not come up with a better chicken dinner. It is incredibly simple and sumptuous. 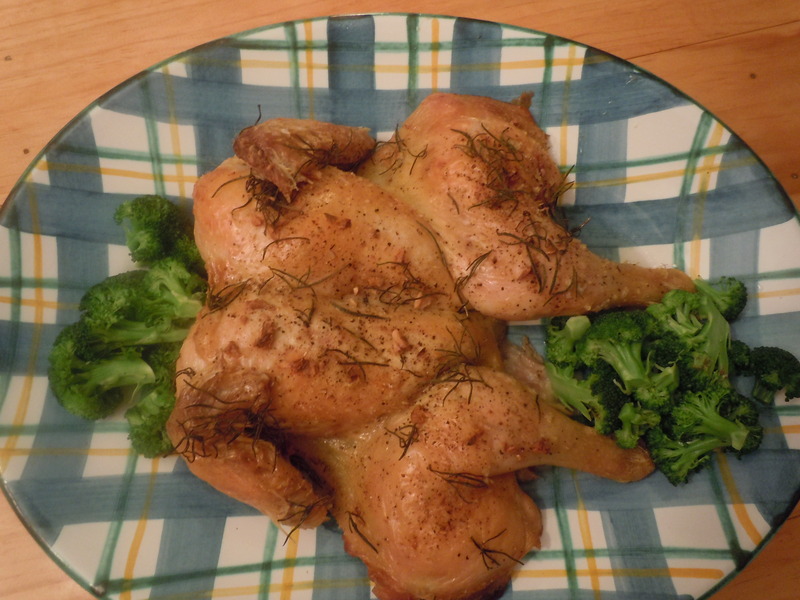 A perfectly browned roast chicken with no embellishment. 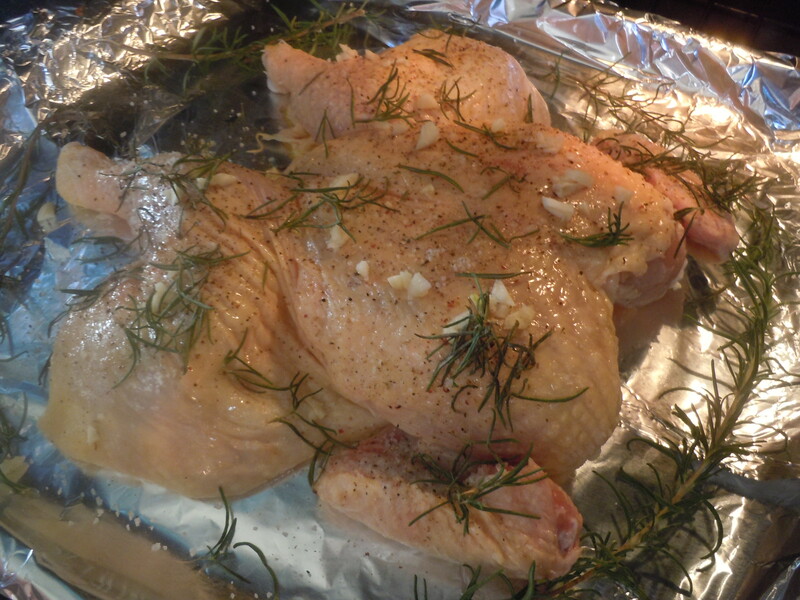 Salt the thawed chicken for 30 minutes. Rinse lightly and pat dry. 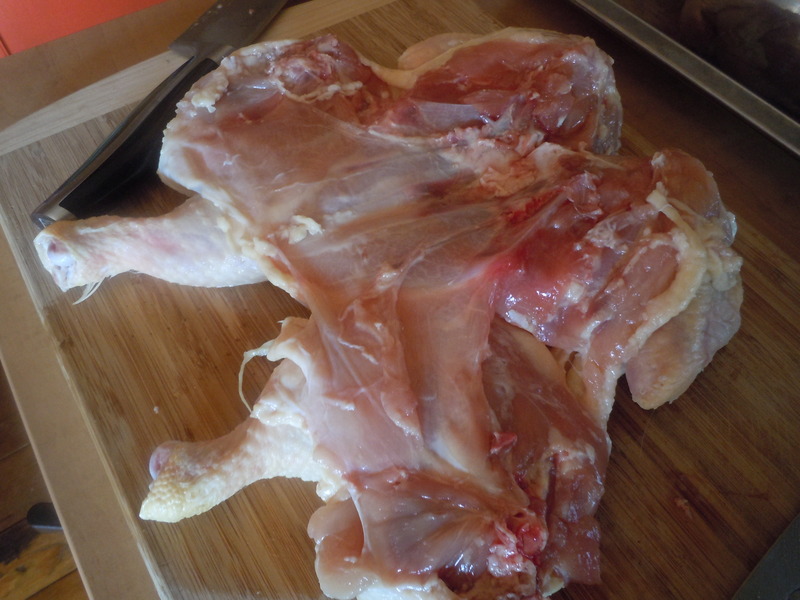 Butterfly the chicken from the back removing the spine and the rib bones. 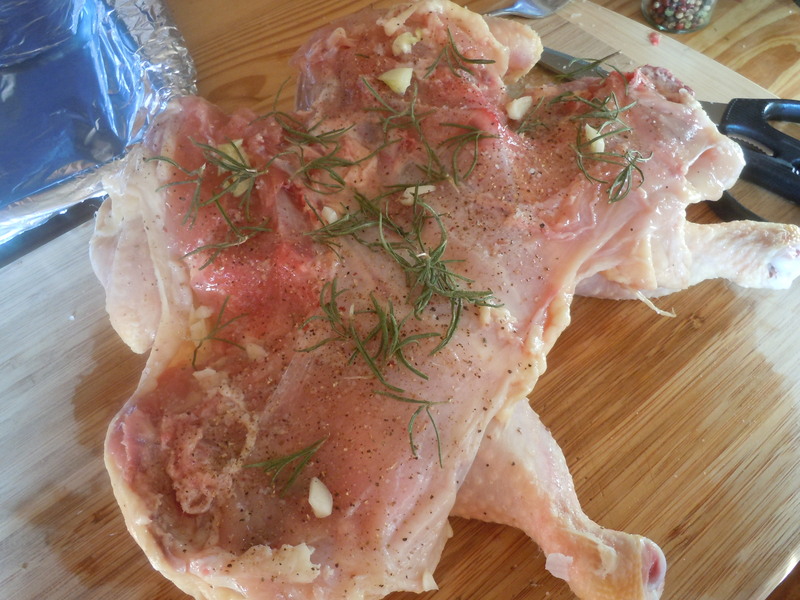 Season the underside with salt, pepper, olive oil, garlic, lemon juice and rosemary. 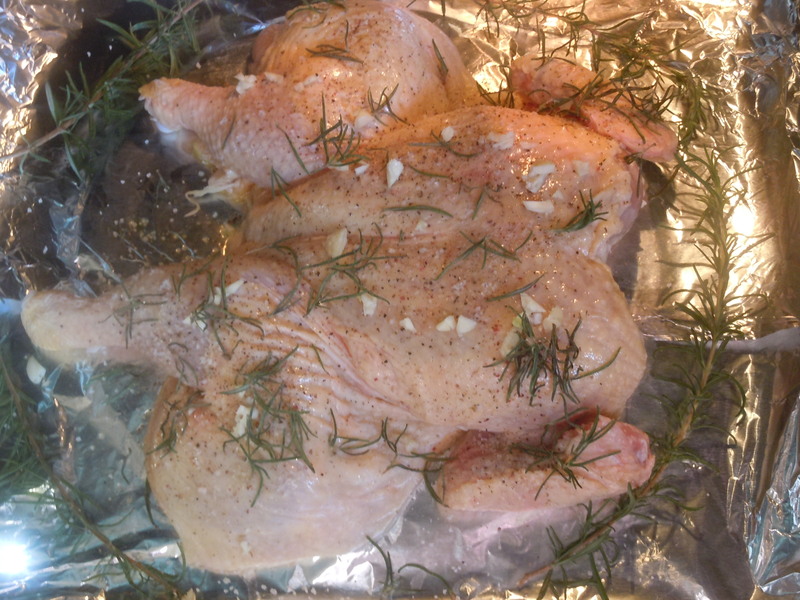 Flip and place on a foil lined baking tray. No help from the sous chef on this one, but I did help eat it, and it was delicious. Rudy the Schnoodle loved it, too!